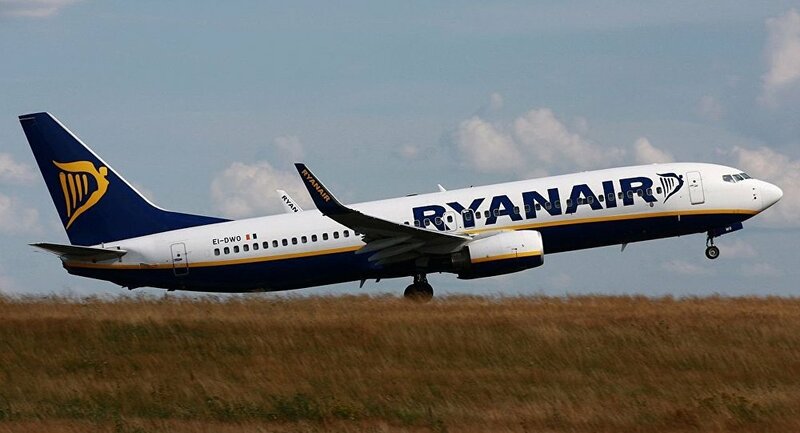 BRUSSELS (Sputnik) – The Irish low-cost airline Ryanair canceled on Friday around 250 flights across Europe due to strikes being held by its employees, RTE broadcaster reported. According to the RTE broadcaster, 150 flights were canceled in Spain, Belgium, the Netherlands, Portugal and Italy, and 100 more in Germany alone. The strikes could reportedly affect tens of thousands of passengers across Europe. Ryanair staff, including pilots and flight attendants, are seeking higher wages and an end to the practice of employing people as independent contractors rather than employees. Another point of concern is the fact that Ryanair employs people only under terms stipulated by Irish law. The company said it would abandon the practice in March 2020, but employees want the airline to do it sooner, specifically in January 2019. Ryanair is the biggest low-cost airline in Europe. The company apologized to its customers for any inconveniences linked to the strike. "Today, over 2,150 Ryanair flights (90% of our schedule) will operate as normal carrying 400,000 customers across Europe. Ryanair took every step to minimize the disruption and we notified our customers as early as possible advising them of their free move, refund or reroute options. We want to again apologize to customers affected by this unnecessary disruption," Ryanair said in a statement posted on its Twitter page.